Serving the Lehigh Valley an Surrounding area for more than 20 years. We Service and Install Inground and Above Ground Automotive Lifts, Tire Changers, Wheel Balancers and Aligment equipment from Cemb. 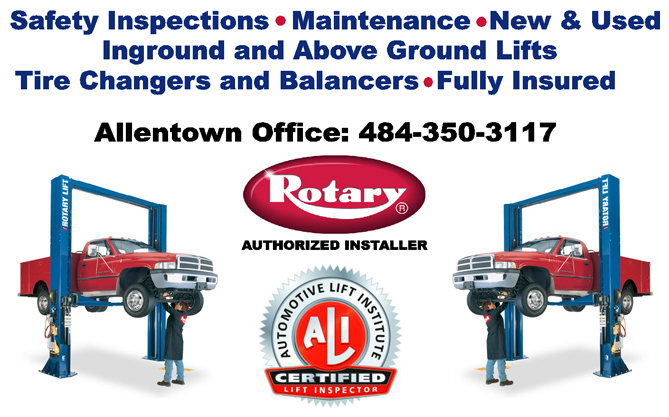 The Best Service in Allentown, PA , Bethlehem, PA and surrounding Lehigh Valley area. This site was last modified April 3, 2013 .